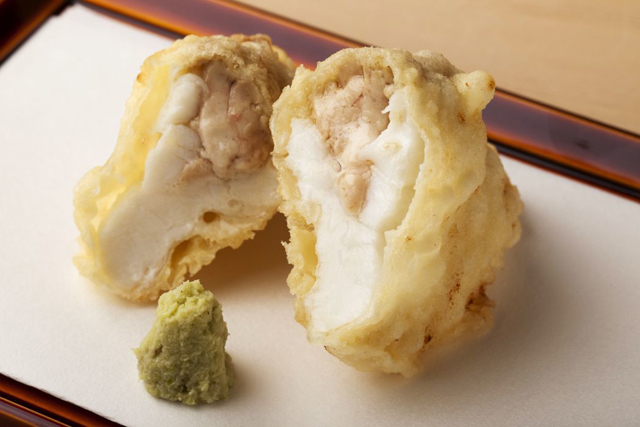 One of the most sought after and distinguised tempura restaurants in Japan. 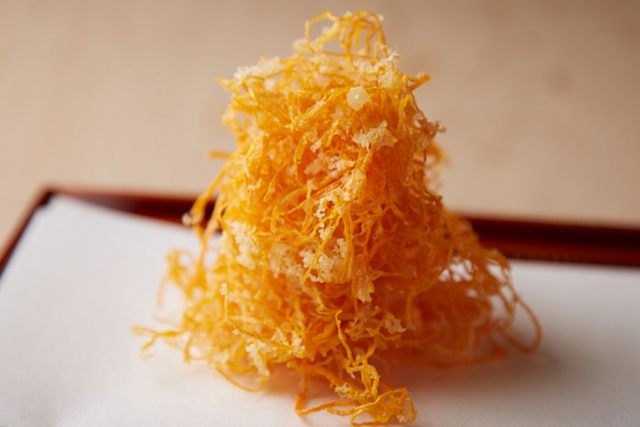 Two Star Michelin gourmet restaurant “Tempura Kondo” is one of the most sought after and distinguished tempura restaurants in Tokyo. 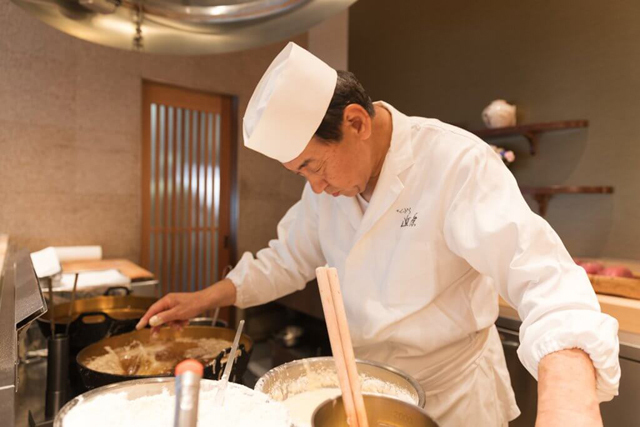 With more than 50 years of professional artisanship, the owner at Tempura Kondo continues to push boundaries. 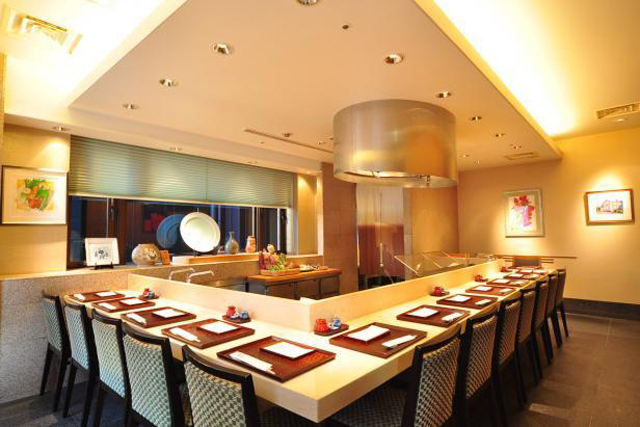 The restaurant draws many gourmets, celebrities and master chefs from around the world who continue to be inspired and awed by the cuisine at Tempura Kondo. Tempura Kondo redefines aesthetics, with ingredients feeling entirely different upon first sight. 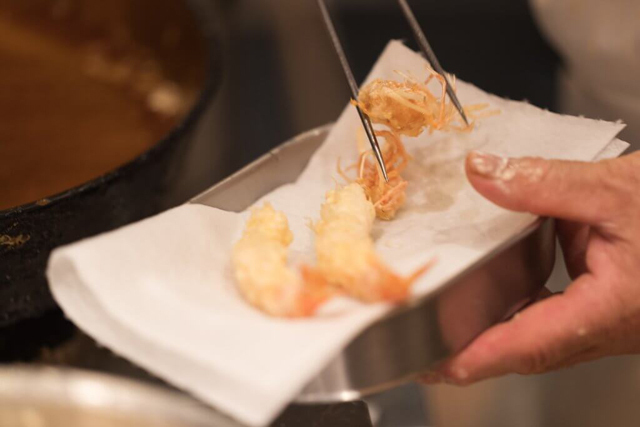 The owner has said that it is essential that the ultimate potential and taste of every ingredient be maximized; including the umami in the batter, so that the luxurious tastes of the cuisine can truly be savored. 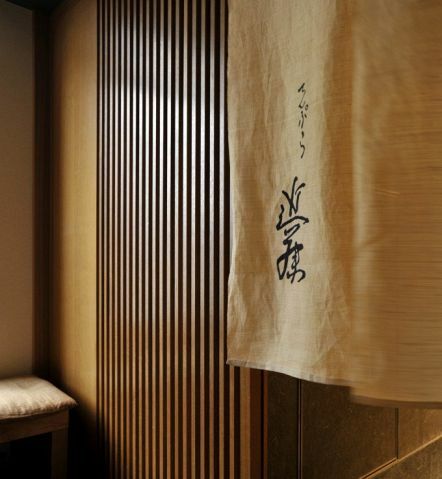 At Tempura Kondo, you’ll find innovative creations, yet perfection in simplicity. 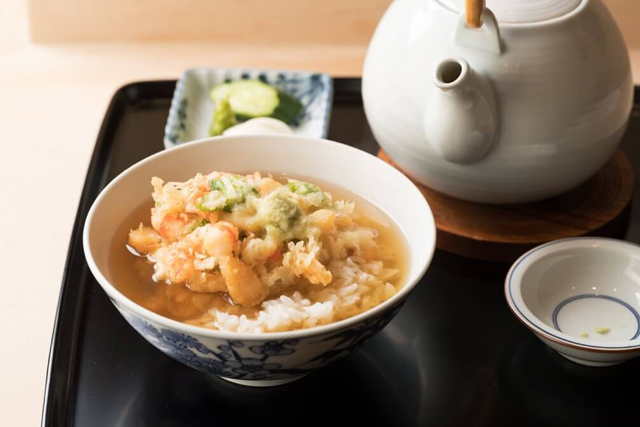 Reservations are difficult to come by, however Tempura Kondo is definitely worth visiting, even if having to make a special trip to the area just to dine at the restaurant. Lunch Open 12:00 p.m. - 3:00 p.m.
※Reservations for lunch taken at 12 p.m. or 1:30 p.m. only. Dinner Open 5:00 p.m. - 8:30 p.m.
※Reservations for dinner accepted at 5:00 p.m., 6:00 p.m., 7:00 p.m., and 8:00 p.m. Seating for dinner is available at a time limit of 2 hours. 3 minute walk from Ginza Station using the subway. Course includes: Tempura: Shrimp x 2、Fish x 3, Vegetable x 4. Rice, Pickled Vegetables, Miso Soup, and Fruit. Tempura: Shrimp x 2、Fish x 3、Vegetable x 5. One of three choices below, and fruit. 1. 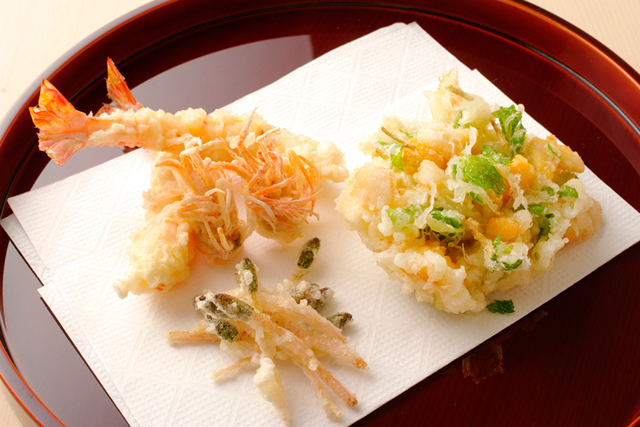 Tendon: Kakiage Tempura (mixed vegetable tempura) served over a bowl rice. 2. Tencha: Kakiage Tempura served over a bowl of rice, with Japanese tea (to pour over rice) and pickles. 3. Kakiage Tempura and rice served separately, along with miso soup and pickles. ※ Kaede and Yomogi includes one small side dish, and sashimi. Please note that the number of shrimp, fish, vegetables may vary. All guests are required to order one course each. ※Prices in the parentheses is the price with tax included. None (please use nearby coin-operated parking). No particular dress code enforced. However we ask that no casual wear be worn (shorts, t-shirts, sandals, etc. ). Please fill out the reservation form on this site. 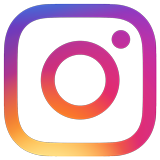 ※Payment for reserved courses with a credit card is requird. ※Any additional orders that you make for food or drink at the restaurant are to be paid for at the restaurant after your meal.